This is the first story featuring the Zee Brother’s in which they meet the love of their lives, JJ and her magical puppy, Xanadu. They uncover the secrets of an ancient indian curse involving a zombie omelet, wait, amulet. They fail to rescue their first client of the day and end up keeping him as a pet instead. 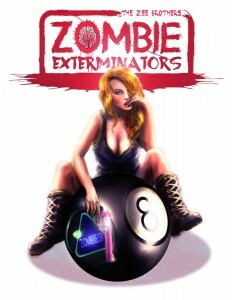 Filled with nods to zombie pop culture, this book will keep you entertained and leave you smiling.